Bwindi Impenetrable Forest National Park Uganda- The amazing Gorilla Trekking Uganda safari hub! Bwindi Impenetrable National Park Uganda has got great counts of butterfly species most of which are restricted in range to the park. The park also has great mammal concentrations. In fact, Bwindi Impenetrable National Park has got 400 out of 880 mountain gorillas that are currently thriving in the wild with none thriving in captivity. Amazingly, despite the high agricultural population concentration that surrounds Bwindi Impenetrable national Park, it still has enormous counts of biodiversity. Among these include; 163 species of trees, 104 species of fern alongside other taxa. Sixteen (16) species of trees which are among the tree species in Bwindi are restricted in range to south west of Uganda including Lavoa swynnertonii that is globally threatened. 214 bird species, 7 diurnal primate species, 129 mammal species and 202 butterfly species thrive in Bwindi Impenetrable National Park. Bwindi Impenetrable National Park has got Nine (9) species that are endangered and threatened globally including; mountain gorilla, L’Hoest’s Monkey, African giant swallowtail, Chaplin’s flycatcher, African broadbill, African elephant, Grauer’s rush Warbler and cream-banded swallowtail. The species like buffaloes and leopard got extinct because of poaching that took place before conservation drives in Bwindi Impenetrable National Park. This Uganda gorilla safari destination of Bwindi Impenetrable National Park was traced nowhere till 1932 when the north and south forest tracts were gazetted as Kasatora and Kayonza Crown Forest Reserves respectively stretching to 20,700ha. The two forest reserves were merged in 1948 and incorporated into the Impenetrable Central Crown Forest Reserve to cover 29,800ha. These two forest reserves were later merged into a central reserve in 1961 expanding the conserved land to 32,080ha. In 1961, the entire –forest was gazetted as an animal sanctuary in a bid to offer additional protection to the critically endangered mountain gorillas. Eventually, the area was declared a national Park in 1991 along with other national parks of Mgahinga and Rwenzori. The eventual gazetting saw the incorporation of 1000 ha Mbwa tract. The naming of Bwindi Impenetrable National Park like most of the African areas has got a legendary connotation. It is explained that in the past, people used to migrate from the southern areas of Rwanda, Burundi and Zaire during the era of population explosion thus in search of vast lands in the northern areas including Uganda. Unfortunately due to absence of maps and clear routes, one day the migrating family found itself stranded on the shores of the gigantic swamp in the middle of an Impenetrable forest. The swamp spirit offered to rescue the family by making the way through for them but at a price of their beloved daughter who was named Nnyinamukari. The family stood in quandary for close to two nights on the shores of the swamp and they ended up sacrificing their daughter for the way through. After such tragic incident, the news spread to the communities that were adjacent to the area and the place was labeled as a dark place that consumed the beautiful maiden daughter Nnyinamukari thus the name Umubwindi bwa Nnyinamukari. The Umubwindi swamp retained the name for years and later formed the name Bwindi during the gazeting of this area as a national Park which later became a great destination for gorilla trekking Uganda safari tours. The question of where else one can spot mountain gorillas should not puzzle you any more for Bwindiforestnationalparkuganda.com has brought the answer. Apart from Bwindi Impenetrable National Park, Mgahinga Gorilla National Park at the extreme south western tip of Uganda is another Uganda gorilla trekking safari destination.With its one habituated Nyakagyezi gorilla family, Mgahinga Gorilla National park conducts organizes gorilla tours at the same rate as Bwindi i.e. $600. 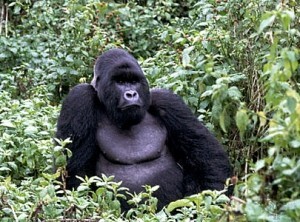 Besides Bwindi and Mgahinga in Uganda, the Volcanoes National Park in Rwanda is another gorilla trekking haven. Positioned in the north west of Rwanda, Volcanoes is Rwanda’s section of Virunga massif and has about 10 gorilla families that have been habituated for gorilla trekking experience. Other destination for gorilla trekking is Virunga National park in the Democratic Republic of Congo but due to instabilities in the area, little efforts have been put in place to stabilize the smooth running of this safari activity. Bwindi Impenetrable National Park is a true birders paradise. Listed as the number one birding spot in the whole of Africa, Bwindi Impenetrable National Park as a cross section of the Albertine rift endemics. 23 Albertine endemics thrive in the park of which 14 of these are recorded nowhere else in Uganda. Its regions of Buhoma and Ruhija present remarkable birding encounters. Bwindi is a habitat to some of the bird species that are threatened globally including; African Green Broadbill and Shelley’s crimson wing. Bwindi Impenetrable National Park was also an ancient home of the Batwa – one of last groups of short people and thus their heritage can be encountered in Bwindi Impenetrable National Park. The Afro montane forest that is perched on the raised landscapes of Bwindi presenting a point of meet between the low land and montane forest present ideal encounters for nature walks. All these combine to compliment gorilla trekking safaris to Bwindi Impenetrable National Park Uganda thus generating all round Uganda safari experience. Cultural Encounters in Bwindi Impenetrable National Park Uganda. Bwindi Impenetrable National Park is located amidst one of the most densely populated agricultural communities in the tropical Africa. The populations of the Bakiga, Bafumbira and the Batwa stay around the Park with their impressive heritage that can be encountered alongside your gorilla trekking safari in Uganda. Buhoma Community Tours / Mukono Development Association in Bwindi Impenetrable National Park. The Buhoma community tour takes about 3 – 4 hours allowing you to explore the offering of the Buhoma community in the north of Bwindi Impenetrable National Park Uganda. The encounter commences at a local handicraft shop selling crafted items like wood carvings, fabrics and bees wax candles. The community tour takes you through the community homesteads learning the local people’s way of life. The visit to the Batwa community is also involved to see how they are trying to cope up with the new life after their eviction from the forest. The activities range from attending traditional performances to visiting the traditional healer who uses medicinal herbs to cure illnesses, participating in the banana juice making process not forgetting local brewing process, a visit to the local school and hospital. The proceeds go to the local school, micro finance and maize mill support while all the Batwa proceeds are given to them in full. Nkuringo Community Conservation and Development Foundation (NCCDF) in Bwindi Impenetrable National Park Uganda. This is a pocket forest under the management of Nkuringo Community Conservation and Development Foundation which conducts the guided walks within the forest. The locals had shown great interest in encroaching on the forest thus threatening the biodiversity existence which prompted various community members to identify an alternative usage and eco-tourism was the better option. The trails were made traversing the forest and visitors are taken through forest walk exploring a wide range of biodiversity that enhances their Uganda safari African tour. This is an experiential encounter within Nkuringo community. It allows the guests have a deep encounter with the community that can learn a new skill while on their gorilla safari in Uganda. The activities range from traditional cooking, weaving, dancing and drumming. The guided village walk takes to local home steads interacting with the locals, learning their way of life and crafts encounter. You will visit the local school where you will attend to the Kiga dance where the dancers hit the rd on the ground since the best dancer is the one who shakes the ground. The Nyundo residents passed through a period of climate change where the rainfalls amounts reduced and patterns changed, hill sides experienced erosion, mist disappeared and crop production began to reduce too. In return, the local people resolved to restore the forest of Nyundo and later develop it for eco – tourism purposes. The trails were set up and forest walks are organized. The forest nourished the area and reversed the effects of climate change that the area had started to experience. The forest trails take you to King Bakyara’s water fall, black smith, local brewing distillery, bee keeper, and cattle farm and banana plantation. There is also millet bread preparation, craft and yoghurt making. The Rubuguri Village Walk is conducted in the south of Bwindi and takes you through the community life in Rubuguri. The inhabitants of this area have impressive traditions of Kiga and Kifumbira culture and taking a walk through their homesteads, the local swamp, and across the village with an encounter at the local St. Peters Primary School where you have opportunities of encountering the Kiga dance. WHAT ELSE CAN YOU DO IN UGANDA APART FROM GORILLA TREKKING. Apart from gorilla trekking Uganda safari tours, Uganda is a rich ground for other safari activities like wild game viewing in her range of savannah protected areas including Murchison Falls National Park which is positioned in the north western side of Uganda with great counts of wild game including the Big four of the Big five of land animals including elephant, lion, buffalo and Leopard with the Rhinos thriving in the adjacent Ziwa Rhino Sanctuary. The Uganda safari destination of Murchison Falls National Park additionally acts as a habitat for Rothschild giraffes, Jackson’ hartebeest, Nile crocodiles and Hippopotamus among other wild animals. Other National Parks like Lake Mburo are known for populations of Impala and Zebra while Kidepo is known for populations of Cheetah and other endemics. 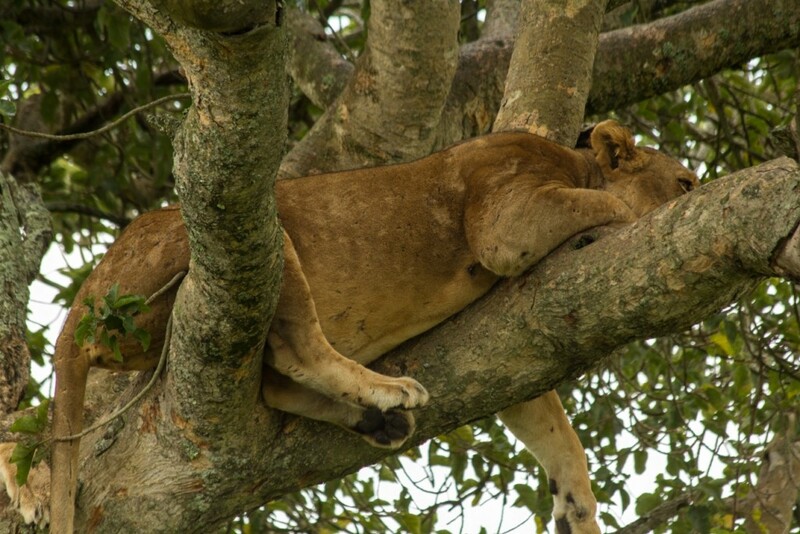 The adjacent Queen Elizabeth National park contain the unique tree climbing lions that only thrive in its southern sector of Ishasha and in Lake Manyara National Park in Southern Tanzania on a world scale. Apart from Wildlife, Uganda is an adventure destination. The remarkable and mystical mountains of the moon as described by Ptolemy in 150AD towering up to 5,109m above sea level covered by snow present a rich adventure encounter that stretch to even 10 days. Other activities like the white water rafting on class five rapids and bungee jumping on the ancient cliffs of the Nile where you fall from the cliff to touch on the waters of the Nile 140ft below – is one of the active adventures you will ever have along the Nile. The Mount Elgon in the east which was the highest mountain in Africa far from Kilimanjaro is also worth an adventure encounter while on safari in Uganda. The widespread water bodies ranging from swamps to lakes and rivers, Uganda is an enriched recreational destination. The range of beaches along the shorelines and the hinterland Islands of the gigantic Victoria Lake which is the largest tropical lake in the world and the second freshwater lake in the whole world not forgetting its dominant position as Africa’s largest lake present a memorable recreational experience. The Nile River which is the longest river in the whole world and other water natural water channels like the 45km long Kazinga Channel, the lake of a thousand islands – Lake Bunyonyi (29 islands), the smallest lake in Uganda – Lake Mburo and not forgetting the longest stretch of Lake Albert lying on the floor of the western arm of the East African rift valley present memorable boat cruise experience while on Uganda safari tour. Rwanda Gorilla Trekking Safaris are the most iconic Rwanda safari adventures that do not only generate remarkable safari memories but also generate considerable revenue for national economic development and conservation. The Only Rwanda Gorilla Safari habitat – the Volcanoes National Park to the North West of the country feature ten habituated gorilla groups which are part of the Greater Virunga landscape apparently protecting 480 out of the 880 total mountain gorillas known to be left in the world. 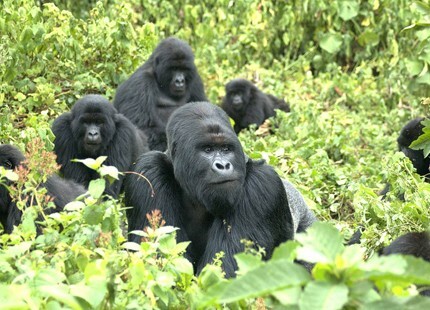 The Rwanda Gorilla Trekking Safaris and Tours are possible all-year round. However, during the rain season, the slopes of the gorilla highlands can be slippery, rain can always hit the trekkers and the vegetation growth is high. The rainy months include; April, May and November. But during this season, the Bamboo is in abundance especially at the lower slopes thus attracting the gorillas to feed from such areas and this result into short gorilla treks. Which Uganda Safari Company to contact for your safari?